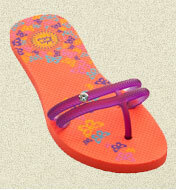 Knock your socks off and show that Pedi, CaliMojos color changing flip flops! Why wear one color when you don’t have to, two colors all in one! 6 Scented Ruby Wing Fall Collection Cupcakes & Champagne. 6 different colors that smell like cinnamon, chocolate mousse, rose, strawberry shortcake and sweet cream. Color changing nail polishes are lacquers manufactured with SolarActive technology for unique color changes under the uv rays of the sun. Perfect nail colors for mani pedi’s including colorful collections of fabulous nail polish colors that become two colors in one bottle. 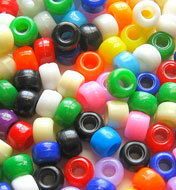 Color changing nail polishes meet all safety and environmental requirements; DBP, formaldehyde, and toluene free. Color changing nail polishes use the very finest lacquer bases available giving you two colors all in one bottle when paired with the sun and SolarActive proprietary technology. 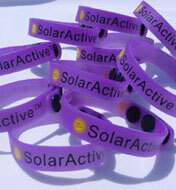 SolarActive has worked with manufacturers of worldwide brands creating the perfect color change effects. Some of the past brands are Blaze, Sun Shades, Ruby Wing, etc. Winter, spring, summer or fall UV color changing nail polish will change your mood and instant smiles from the magic of color change. Color change nail polish is PROUDLY MADE IN THE USA. 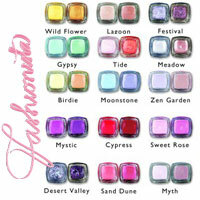 Color changing nail polishes glide on smoothly using the finest lacquer bases. Paint your nails as usual with two thin layers for full coverage, and see the unbelievable magic color changing effects! Nail polish that changes colors from UV rays create instant dramatic transformations for your hands and feet. 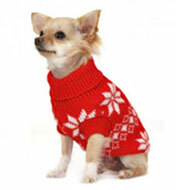 All new colors are available to choose from to delight people of all ages and fashionistas alike. Show off your perky toes wearing CaliMojos color changing flip flops paired with nail polishes that all change color from the sunlight. Water coloring, acrylics, pastels? I’ll pass. Nail painting, on the other hand, is an art form with it’s own handbook of jargon that I am perfectly fluent in. OK! News: What’s in Your Beauty Bag, Ashley Rickards? I’m no conceptual art whiz, (seriously, ask any of my old art teachers) but I can recognize a hand of cutsie nail art and a trendy top coat just as good as the average beauty-lover. 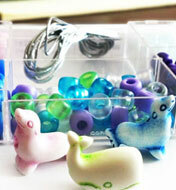 And the neon color changing nail polish collection by Ruby Wing, is museum quality goods. Mona Lisa probably would have wanted to rock a coat or two of this stuff. Recent News in the National Press! RUBY WING IS TOP 5 ON GALA’S! Gala featured Ruby Wing! Their Top 5 “Great Fun” list, and we can’t blame them! That’s because our UV nail polish changes color everytime you step out into the sunlight, keeping you entertained and amazed! 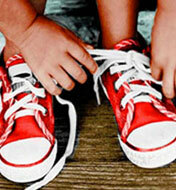 TIME OUT NEW YORK WANTS MORE FROM RUBY WING! 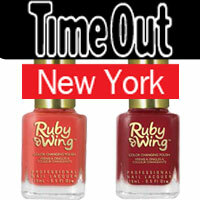 Time Out New York is head over heels for Ruby Wing’s color changing nail polish. This UV nail polish features Solar Active®technology that makes choosing a shade ofnail polish just a little easier. That’s because each nail lacquer changes color in direct sunlight, which makes choosing a nail color just a litle bit easier. INSTYLE PRAISES RUBY WING NAIL COLORS! 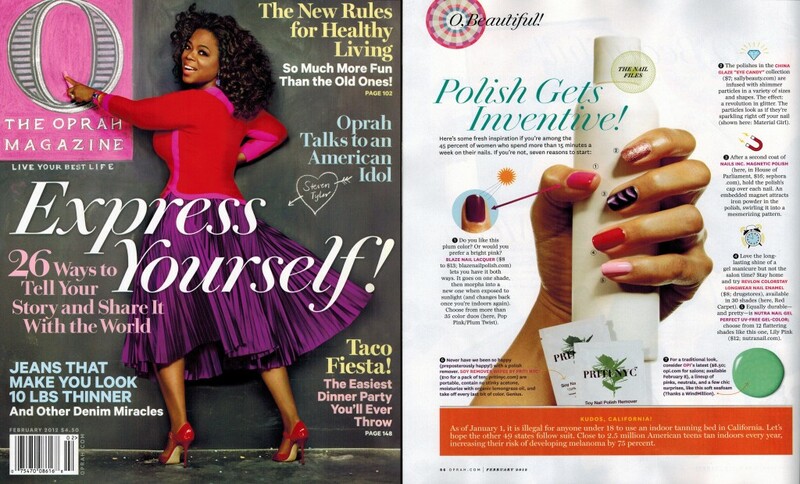 “Beautiful, and smart” is just one way InStyle has chosen to describe Ruby Wing’s UV nail polish. But we can think of many more. 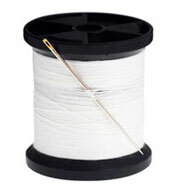 If you were to ask us, we’d tell you it’s innovative, revolutionary, and stylish! 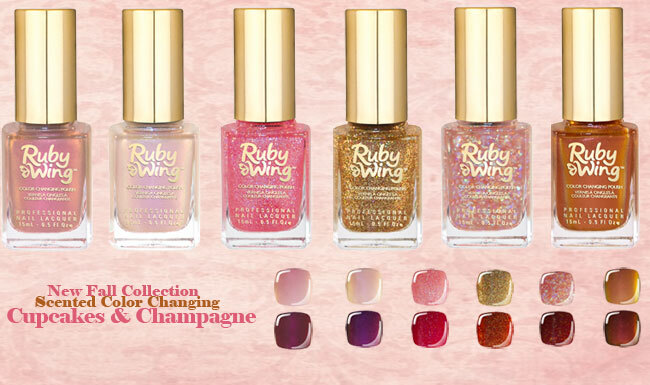 OBSESSED WITH RUBY WING NAIL LACQUER? TIME OUT NYC IS TOO! 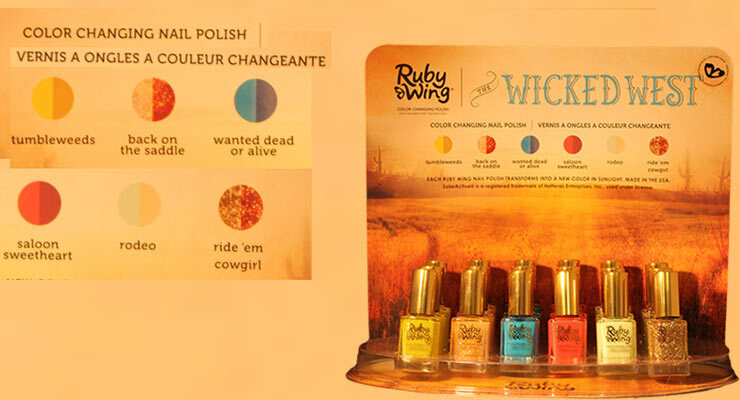 Time Out NYC is obsessed with Ruby Wing’s Sand Dune and Horizon UV nail polishes. We can’t blame them, though, because Ruby Wing’s color changing nail polish will satisfy your craving to re-paint your nails everytime you step outside! 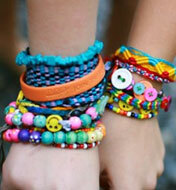 TEEN VOGUE HAS FUN IN THE SUN WITH RUBY WING! Teen Vogue is using our color changing nail polish to capture that list bit of summer magic, and we can certainly agree with their choice! Because every nail lacquer produced by Ruby Wing features Solar Active technology, all you need is a little sun light to change up your look! NEW YORK POST LOVES RUBY WING! 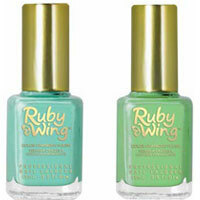 Ruby Wing’s color changing nail polish was featured in the New York Post as one of the 25 Best Beauty products! That’s because our innovative UV nail polish is a trend-setter. Each nail lacquer produced by Ruby Wing transforms in direct sunlight for a total of 36 possible shades! You’re life is full of change, so shouldn’t your nail polish change too? Fashionista calls Ruby Wing’s color changing nail polish the ‘most fashionable color palette they’ve seen come out of color changing nail polish’ and that the color transformation resulted in tons of oohs, ahs and complements! 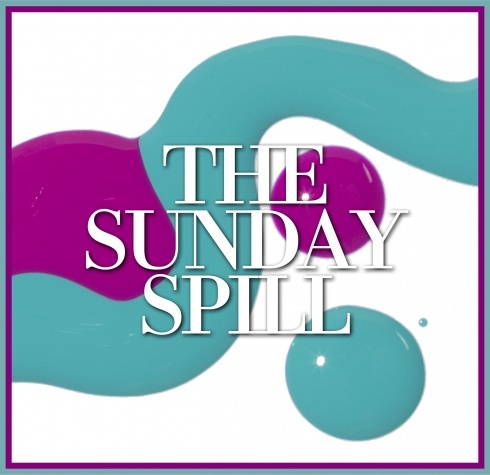 So whether you’re looking to set trends, or just looking for complements, our UV nail polish is perfect for you! 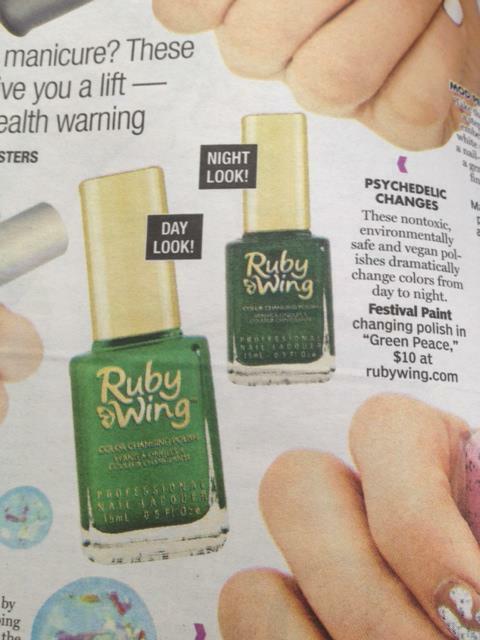 Ruby Wing’s color changing nail polish was featured in the New York Post Again! Sunday mornings are made for lazy brunches, languishing in bed with a book-and, of course, your standing manicure appointment. In our feature, we’ll give you our recommendations for the best hands-and-feet pairing for the week ahead, and where to head for a flawless polish job.